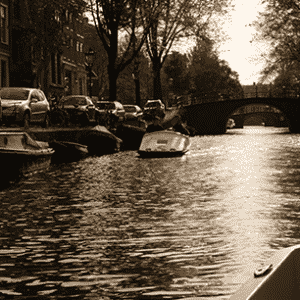 the magical waters of Amsterdam. 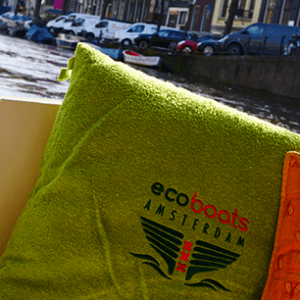 Ecoboats Amsterdam is located at the heart of Amsterdam’s center, giving you direct access to the canals. 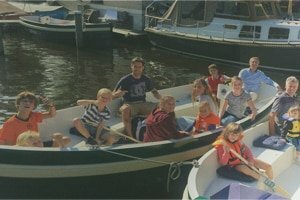 Our spacious Ecoboats comfortably hold a group of up to 12 persons. 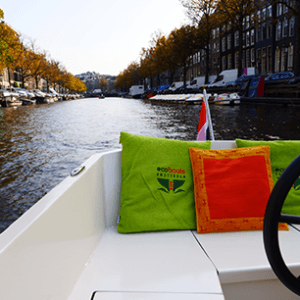 Additionally, our boats are equipped with blankets, pillows, storage units, and route maps, along with a sturdy steering wheel and throttle, for a perfect day out on the water. 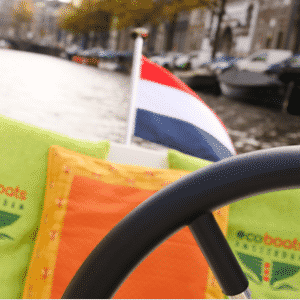 At just €50 an hour you have access to your own Ecoboat on any weekday. In the weekend, Friday to Sunday, the rate is €60 an hour, for a minimum of two hours. 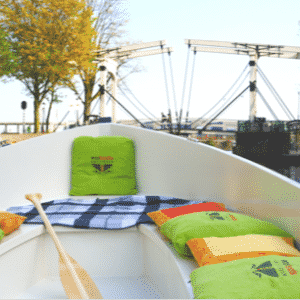 The blankets, pillows, and route maps on the boat are included in the price. 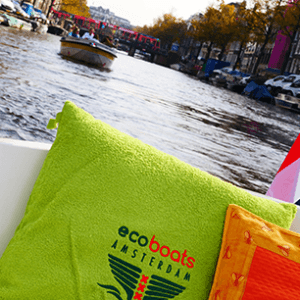 Eco Boats offers a fun day out on the boat for your family- or work trips. 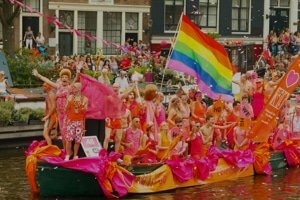 Teambuilding through an exciting scavenger hunt on the Amsterdam canals? 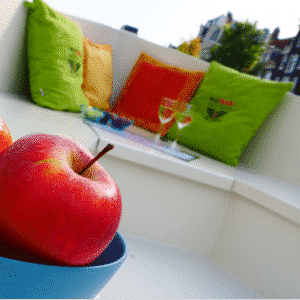 Or simply cruise while enjoying a delightful lunch? We are happy to think along and create the perfect trip. The boats are wonderful, and smooth to steer. The owners are extremely cooperative and offer great customer service. What a great experience! We rented an electric boat which was effortless to operate. 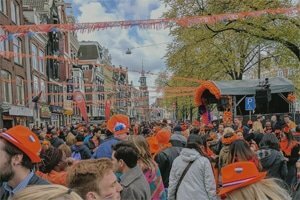 We will certainly come back! 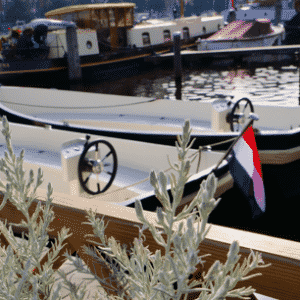 The boats are brand-new and the service is extraordinary! The boats are smooth, safe, and sturdy. Would definitely recommend. 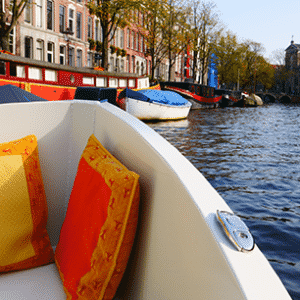 Our boats are docked at Westerdok, which is merely a 5 minute bus-ride from Amsterdam Central Station (line 48, stop Barendszplein), or a walk just short of 15 minutes. There is also sufficient parking space nearby, which also makes our location ideal for guests traveling by car or bike. In the weekend, Friday to Sunday, the rate is €60 an hour, for a minimum of two hours. 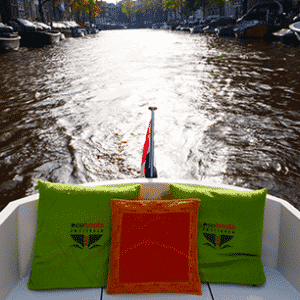 The blankets, pillows, and route maps on the boat, are included in the price.